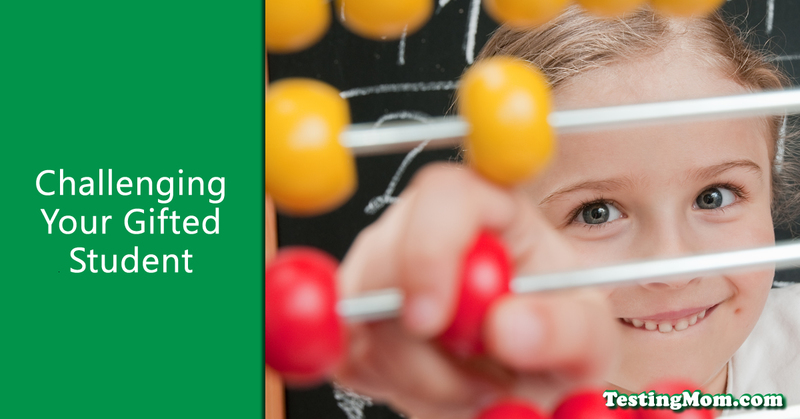 Challenge your gifted student by setting the goal higher than his reach. Encourage him to ask questions and to find his tribe, where he will grow. This is where parenting becomes advocating. And we can show you how to do that. Here’s a story from one of our members. Recently, at a live event in New York City, I (Karen Quinn, the Testing Mom) asked the NYC parents to write down all the questions they had. I thought they asked some great questions both about gifted and talented programs and whether it’s really worth it to go into a gifted and talented program. They asked questions about testing and how to prepare their child, and they asked questions about just improving their kids’ skills. Today I wanted to share just one of those questions with you, because I think it’ll give you good information and help you in your journey to getting your child into the best possible program that you can. Now, I would say yeah, I do. I really do. I think if you can get your child into one of these gifted programs, it’s definitely worth putting him into the program and giving it a try. There’s a number of things that I see that I think are advantageous. One of them is the fact that all of the other kids in the classroom are kids who have tested in with high scores. Your child is going to be surrounded by other kids who are very bright and motivated kids. I think what that does is it just gives all the kids incentives to do their best, work hard and just raises the level of education for everyone when everyone in the class is at a high level. The teacher doesn’t have to spend time dealing with children who are below grade level or who are just having trouble with certain concepts. Usually in a gifted and talented program, all the kids are moving along really pretty quickly together. Actually in our Saturday seminar, we had parents speaking as well. Parents whose kids have used Testing Mom and their kids did very well on the test (Click Here to Learn More). One of the moms was telling a story, which I thought, really got to the heart of why a gifted program is such an advantage over a general ed classroom for certain kids. Lack of challenge, as the teacher, must teach to the lowest common denominator. She felt she was very smart, very bright, but she was really getting squashed and held back in a general ed classroom, and it was very frustrating for her. Eventually, she got into a gifted program and that was just wonderful. As a result, this mother feels that if your child is gifted, they do belong in a gifted classroom, so I think there really are advantages. The other thing we see with kids in gifted classrooms, by the way, is if you look at the scores of the kids in a gifted classroom, usually 98% of them, 99% of them are at or above grade level. If you look at the scores, the state test scores in a general ed classroom, it’s never like that. There’s usually maybe 60% at or above grade level and you might have 40% or 30% below grade level. That just changes the dynamics of the classroom. Your child is not going to get as much value everyday at school if the teacher’s really working to bring kids up who are behind. It’s just so much better if they can be in a class where everyone’s ahead and they’re working quickly and deeply with a richer curriculum. While a younger child may not really be able to pinpoint the problem, you may see your child begin to misbehave more or withdraw. They have untapped potential that is lying dormant and needs to be awakened. For the older child, you will hear them talking about how bored they are in school. He will verbalize his frustrations. All in all, it is a missed opportunity for your child to grow to his or her potential. If you are wondering where to begin, please call our customer service department at 877-609-6203, and be ready to share your child’s age and your location and school. Or you may also contact us here. We want to see children growing and using every single part of their gifted potential!